BOSE Headphones Winner, New Tour Dates and Book Update! Back in the day, I used to not enjoy getting newsletters from bands. Now I love it because it’s how I get most of my information about what they’re up to. Hopefully, you feel the same way when you see a letter from me in your box. This is a fun one to send because we're giving away a pair of BOSE noise cancelling headphones to Margot Vetrovsky! Margot, hit us back in the next 24 hours and claim your prize. It's a good a reason to read one's mail as ever, I suppose. If we don't hear back, we'll pick another person in the next letter that we send in a week or so announcing Summer 2019 Tour Dates! You read that right! We have a few on sale down below, but we've got a whole bunch more cities to announce, and the "Objects In The Mirror"' tour will continue! I’m in the third draft and resuming work on it this month, hoping to have it go to print in time to ship for the Fall.Turns out writing books takes longer than I thought it would. Thank you for your patience. In the mean time, my fiction contribution to “Moving Foreword” by Jon Chattman was published yesterday and you can check that book out here. CMT Premiers "High Highs, Low Lows"
OITM Full Band Tour Rages On! SK to play with Foo Fighters, Brandi Carlile, Kacey Musgraves + More! SK will be playing Telluride Bluegrass Festival with Brandi Carlile, Kacey Musgraves, plus many more. 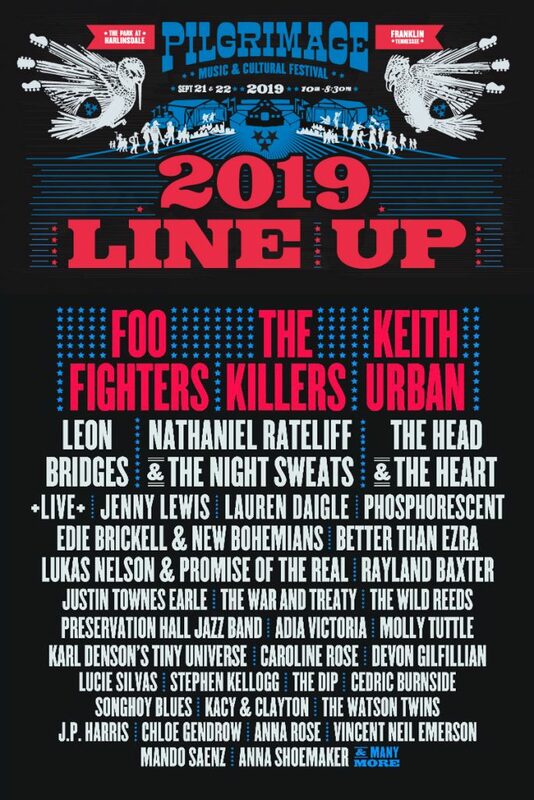 Stephen will also be playing Pilgrimage Festival south of Nashville in Franklin at the end of September with Foo Fighters, The Killers, & plenty of other great musicians! Wide Open Country premiers "High Highs, Low Lows" Video! "'High Highs, Low Lows' is a reflective tune about life's peaks and valleys that would sound at home alongside the FM hits of Bob Seger and Tom Petty." Watch the video here! We are one month out from the Objects In The Mirror Full Band Spring Tour. Rehearsals are underway, the guys are having a great time putting together these songs, & they can't wait to get on the road & show them to you. This tour is really going to be such a special experience. SK is taking a collection of some of his favorite people (Boots, Eric, Cookie Dough, Shady, Lil Jackie Paper, & Mahoney) on the road, playing songs from the new album (his best yet, in our opinion! ), & our friend Pete Muller is opening. This is a tour you need to see, friends. Haven't seen SK in years? That's ok! Used to go with friends you aren't as close to now? Text them, reconnect at the show! Don't have anyone to go to the show with? Also ok! SK fans are some of the most welcoming there are. You just have to see this tour. That's what we're getting at. It's something for the books- grab your tickets & Kelloggtown VIP passes, & we can't wait to see you there. We've also got just a little over a week left for you to purchase your Season Pass! There are only a few left. The Season Pass includes entrance to any headlining SK shows (excluding festivals) + Kelloggtown VIP for all of 2019. It's gonna be a busy year for SK, so grab yours while we've still got them! PS: Looking for like minded SK fans? Join the SK Fan Family on Facebook! The 9th Annual SK Family BBQ Weekend is back June 21-22! Friday Night Pre-BBQ Concert in the Barn: This is going to be a very limited engagement 'evening with'. For the first set, we'll be celebrating the 15th anniversary of the self-titled album by playing it in it's entirety. This was my major label debut, and I'm so excited to dive in from "Flower In Rain" to "Keep Me In Your Thoughts"! For the second set, I'll be doing 100% requests. The venue capacity in the barn is extremely limited and we won't be able to fit everyone, so if you'd like to attend this, you'll need a weekend pass and you'll want to buy it early. Saturday Afternoon: BBQ! Field Day! Plus a short acoustic set for our younger friends. This is all about hanging with your people, no athleticism required, and your tickets to this include lunch, games, and music! Saturday Night: With any luck, we will be playing under a star filled sky on the first weekend of summer. There is room for the kids to run, a blanket to sit on, and a cooler by your side. It should be an incredible evening, and we'lll have special guest Brooks Hubbard kicking things off that night! Tickets and More Info: Tickets are on sale NOW! You can either pick up a weekend pass, which will get you into all three events on a discounted rate, or you can pick "a la carte" tickets for the two Saturday events. There are descriptions as well as FAQ answered over at the Family Store. We are also partnering with a wonderful Marriott and have a special rate for weekend goers. Less than an hour from three major airports in one of New Jersey's most beautiful communities. We hope you'll join us for the 9th Annual SK Family BBQ Weekend! Also, we are rolling out a Season Pass for 2019! You can go to as many SK shows* as your heart desires, including Kelloggtown VIP for each show as well. This will be valid for the 2019 calendar year- including the full band Spring tour, plus we have summer and fall tours on the books. We'll be visiting many of the cities we haven't gotten to, and returning to some that we have! These are valid for one person, but if you'd like to buy two, the second is half off! SK & Loren Allred sing "Shallow" from "A Star Is Born"
Stephen & Loren Allred, from The Greatest Showman, sing “Shallow” from the movie “A Star Is Born” at the Vista Lounge at Montage Deer Valley in Park City, UT. It Will All Be Ok & Happy F'n New Year! was having a hard time getting onto a good frequency again. My friend Eric Donnelly came over one morning for tea and suggested that the best remedy was to ‘write the finest songs of my career and come up with a new idea’. Easy right? The kind of advice that could make you want to pop someone if it wasn’t being offered in such a genuine and kind way. I’ll never forget what Eric gave me that day. “Objects In The Mirror” the album AND the book (which WILL BE OUT IN 2019 though it’s still very much being written), came to life because I knew deep in my heart Eric was right. We just finished a tour that in addition to having full houses in every city, more importantly had full hearts. These pictures represent a great year of family, music and dreams coming true. The album cover, the kids helping me out with the Kellogg Family Store, the biggest SK Family BBQ yet in Chicago, my children in the recording studio, Rolling Stone magazine delivering the most moving review of my music I’ve ever seen in print, Will Hoge, whose music I’ve respected for a decade, producing the record he promised me we would make, Rolling Stone Country photographing a sold out show at the Bluebird in Nashville, Robert Randolph celebrating our Grammy Nominated “Got Soul”, and my family enjoying time with one of my boyhood heroes turned musical champions, Adam Duritz of Counting Crows. So here’s the thing folks. I had a good year. Maybe you did too (fingers crossed), but I understand that also maybe you didn’t. The reason I wrote “Objects In The Mirror” and the goal here is to be of some use to you. There are plenty of shows and music that can be a background soundtrack to a party. But I’d like my songs to work as medicine for your souls. If you need that, listen. If you know someone who needs it, share. If I can make you smile or cry or feel more hopeful I’m going to do it. That’s the goal. That’s 2019. I’ll see you there my friends. OITM Tour, Handwritten Lyrics & Nashville Greetings!! Hey there everybody! Stephen here. Writing to you from Nashville, TN where we had another amazing one last night. 5 of the first 7 shows have sold out! I realize that this is the norm for a handful of extremely fortunate acts, but it has been a number of years since I've been graced with a tour like this, and I sure could get used to it! Thanks to everyone who has bought tickets and VIP upgrades to the shows so far... you guys sharing these new songs with people you think might need it in their lives has been like a light that is blasting into the darkness... I'm loving having the best seat in the house to watch your reactions! Keep posting, sharing on playlists, and letting us see what's going on with you! 14 more dates on this first part of the tour, and you can see info about those shows and some new cities added to the second leg by reading below. Lastly, thank you for all the well wishes regarding my families unfortunate car accident last weekend. Everyone is ok, though the family truckster and the 180 pound deer did not fair so well. I was able to fly home and be with my crew for a couple days thanks to a great supportive road family, and fan base. You are all something else. Hug your people, celebrate the wins, and know that I'm rooting for you. SK Included in Rolling Stone's "10 New Country Artists You Need To Know"
"...Objects in the Mirror captures the talent, spontaneity and humanity of Kellogg’s songwriting and presents it in a soulful, folk-rock packaging that is refreshingly free of pretense and studio polishing." 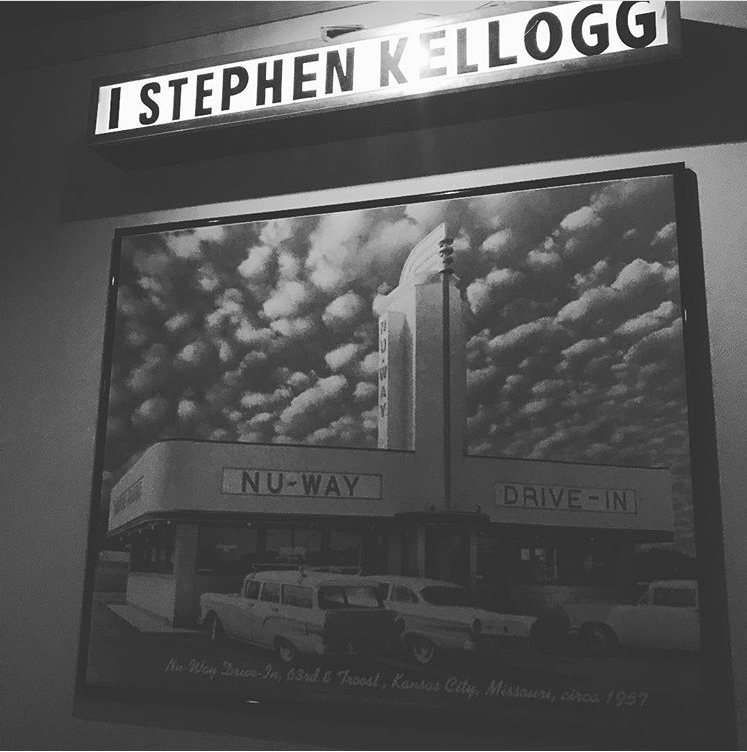 "Stephen Kellogg is someone who is talented in so many different ways, who has done so much with his life, and who is still reaching out into new areas— so please, indulge the storyteller in me while I tell you about Kellogg’s wild, open heart. If you’re a folk or Americana fan, I know that you already know who Stephen Kellogg and the Sixers are. They’ve been a staple of the scene since 2003. (If you aren’t already listening, if you like artists who use clever writing and upbeat styles, like Josh Ritter and Matt Nathanson, Stephen Kellogg is going to be your new favorite songwriter.) And while he performs and records mostly under his own name now, what’s most impressive to me about Kellogg— and maybe about any person I meet (looking forward to it, Stephen! )— he is absolutely, 100% sincere. There isn’t irony or sarcasm in this music. There isn’t bitterness and hatred in this music. Stephen Kellogg is a good man who happens to have connected with a large group of fans, all magically without having to change who he is." Continue reading on the blog! Hello all you fine community of music listeners! in Nashville, TN last week. Quite unbelievably, we are almost done recording the album. book, the chapters and concepts are taking shape and I’ll be spending the lions share of the next month and a half working on that. To the 615 souls who’ve taken us the first 49% of the way and to the fine musicians who’ve helped get the record rolling in grand fashion, my eternal gratitude. Its me, Stephen. There is so much that I could say, but I think I’m going to let this video explain what’s up. I'm making plans to record new songs and have begun writing a collection of essays about life, marriage, and music. I hope they delight and heal you. If you trust me on that front, we have a slate of offerings that support the creation of the new album and the book. Love to each of you, and see you later, see you soon! What Better To Do After Spring Break Than Plan Summer Break! Former Sixer Boots Factor will be sitting in on Friday night, & MikelParis™ of O.A.R. will be sitting in on Saturday night. Expect to hear some of their own songs in the mix as well! Want to vote on which album SK plays from start to finish on Friday night? Get your Field Day passes by tomorrow, Tuesday, April 17th! We will send out a survey to all attendees to vote on the album on Wednesday. Again, the ONLY way to get a vote is to have your passes purchased by Tuesday-- but don't worry, passes will still remain on sale until we sell out.